The International Academy of Matsumoto was founded by parents who wanted to create a truly international, multicultural education for their children. Our goal is to provide a nurturing learning environment that respects each child for the independent individual he wishes to become. Teaching for more than fifteen years, Karen has been a Montessorian since her own preschool days. 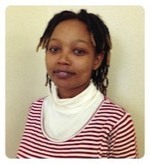 She is a certified Montessori teacher for children from infancy to elementary school. Her desire is to inspire young students to a lifelong love of learning. In her spare time, she enjoys singing gospel music, figure skating, cooking, and reading. She feels blessed to share her life with her loving husband, Dave, and her son, Christopher. David was born in Los Angeles California, and is a graduate of the United States Military Academy. With over 20 years of experience in weight training, David has worked with all levels of athlete, from raw beginner to advanced professional, and has even worked with athletic rehabilitation. David has also trained and competed in judo, wrestling, kickboxing, MMA, and in high school played football, basketball, and ran track. David has lived in Japan since 2007, with his greatest joys in life being his wife Karen and his son Christopher. In his spare time, he enjoys reading, relaxing, and learning new things.